Trees can be removed in many different ways. The simplest method is to straight fell the tree however this requires adequate space in order to do so. 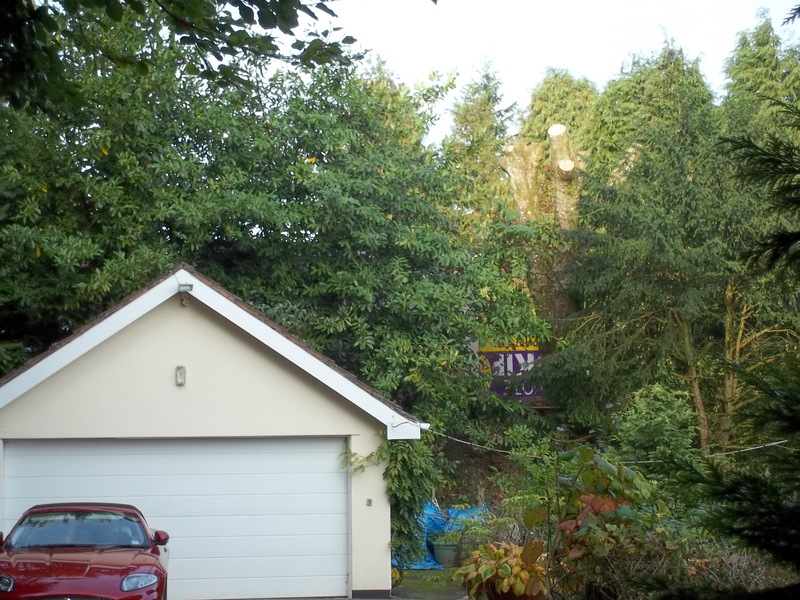 Dismantling a tree is more common in the urban environment, on a site where space is an issue or there are buildings underneath such as greenhouses, roofs, sheds, etc. This is a method of methodically removing limbs and lowering them off in large sections to a target area, ensuring that buildings and power lines are not damaged. We use rigging techniques to ensure that the work is carried out safely within the confined area. We carry out a comprehensive risk assessment prior to any work. 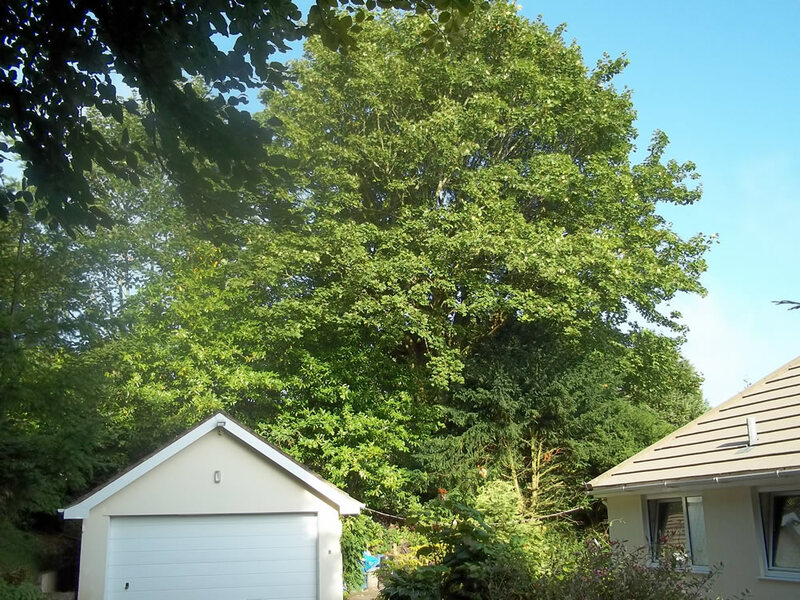 Tree Preservation Orders, Conservation Areas, Planning Conditions, Felling Licences or Restrictive Covenants legally protects many trees in the UK. 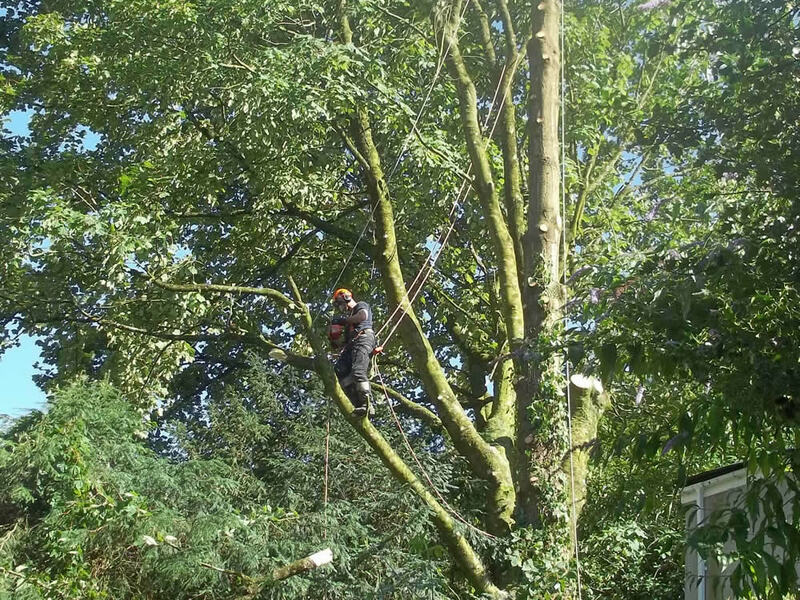 Anyone wishing to undertake work to a tree should make suitable enquiries as to the legal status of the tree and any protection afforded to it, before undertaking any work, in order to protect themselves and others from possible prosecutions or enforcement action. We are happy to ensure that all enquiries are made with the local authority to ensure work carried out on your property satisfies the relevant bodies.